Text Publishing Company, 9781922182869, 240pp. Neo City, 2509. Some serious operational bungles, plus the accidental death of his partner, put Special Agent Blake Carter's career at the Planetary Bureau of Investigation in jeopardy. To make matters worse, his new partner happens to be a cyborg. When infamous criminal Bartholomew Badde steals a weapon capable of awesome destruction, Blake and his partner must recover it. Their investigation takes them to all corners of the weird and wonderful galaxy. But when Badde kidnaps Blake's teenage daughter Lisa, can Blake get things right and rescue her in time? 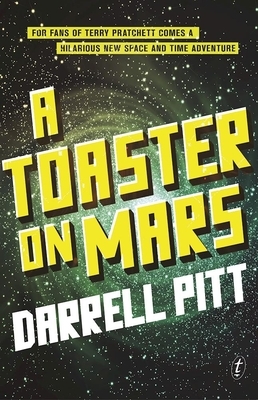 Darrell Pitt is the author of the Jack Mason Adventures, a series of five novels including The Firebird Mystery (a Notable Book in the 2015 CBCA awards) and, most recently, The Lost Sword. He lives in Melbourne.